Jess Moulson is convicted of a murder she can't remember committing. Nothing is quite clear from the drug-fuelled night when a blaze set in her apartment killed the little boy upstairs. But when the media brands Jess a child killer, she starts to believe it herself. Now she's on her way to Fellside, the biggest, most formidable women's prison in Europe, standing in the bleak Yorkshire moors. But Jess won't be alone in her prison cell. Lurking in the shadows is an unexpected visitor ... the ghost of the ten-year-old boy she killed. He says he needs her help-and he won't take no for an answer. 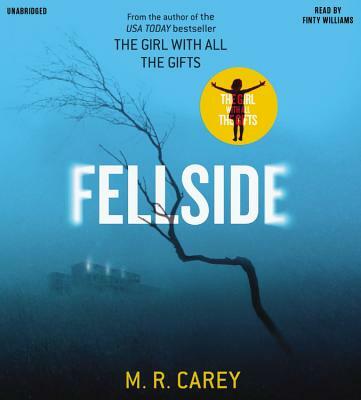 Fellside is a powerful, thought-provoking and heart-wrenching new standalone novel by M. R. Carey.